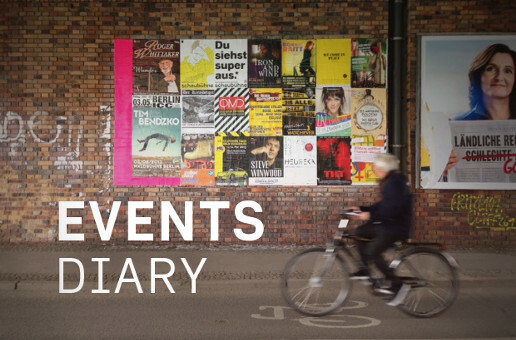 Welcome to the VentureVillage Events Diary – a round-up of the hottest startup events of the week. Mark your calendars and make sure you don’t miss out. The time has come again for the most important German exhibition in the digital industry: dmexco. A who’s who of industry leaders will gather in Cologne to meet old and new business partners and get informed about the latest trends and innovations in the digital marketing sphere. The conference part of the dmexco will present more than 450 speakers and over 190 hours of content. Top C-level speakers – including Marc Pritchard (Global Brand Building Officer, Procter & Gamble), Tim Armstrong (Chairman & CEO, AOL), Laura Desmond (CEO, Starcom MediaVest), Julia Jäkel (CEO, Gruner+Jahr), Achim Berg (CEO, Arvato), Mark D’Arcy (Director Global Creative Solutions, Facebook), Dominique Delport (CEO, Havas Media Group) and Frank Holland (Corporate Vice President, Microsoft) – will offer insight into their businesses and vision. The exhibition and conference are free for professional visitors. Uncubed is a creative, high energy series of events across the US that brings together inspiring leaders, hiring startups, and unique design, development and business talent. It is trusted by the likes of Facebook, Tumblr, Stack Exchange and Spotify and is the place where talent meets hard-to-discover job opportunities at exciting and innovative companies. Berlin is its first European stop. You’ll meet recruiters from more than 30 local companies and enjoy a mesmerising mix of music, art, contests, entertainment, speakers, classes and much more. The Berlin Founders Event, co-organised by the Rude Baguette and Silicon Allee, invites active startup founders to come together and discuss issues, receive feedback, and share experiences. The event is open to all founders – if you’re visiting from out of town, this is a great way to get to know the startup scene in Germany. The event is designed to be affordable for bootstrapped startups and includes an open bar and buffet.